Based on recording the actual weather here since 2008, and living with it since 2001, here are our observations on December weather in Lanzarote. We’re now in mid-winter on the island, but it can still be sunny and hot! In fact, Christmas day, for some reason, is almost always hot and sunny – we’ve spent many a 25th December on the beach! The image above was taken on Christmas day 2015 in Puerto del Carmen. You can expect at leat 6 hours of sunshine per day in December in Lanzarote, and typically daytime temperatures will be in the range 18 to 22 degrees, falling to 14 to 17 at night. But when there is no cloud cover, expect 26 during the day and as low as 12 at night. December is the month you are most likely to see rain on the island – we get about 29MM of rain in December on average each year. To put that into perspective, that’s about a third of what you can expect in Dublin. And the other difference is that rain here may fall on 3 or 4 days, versus 20 – we don’t get that persistent drizzle – it rains hard and it’s all over! You can still burn in December as our UV remains high, so use quality sun cream. The ocean temperature might dip below 20 degrees in the surface. December isn’t generally a windy month, so expect 5 to 15KMH, although we can get the tail end of Atlantic Storms, with big gusts up to 60KMH. Tropical Storm Delta hit us in December 2005 and caused lots of damage on the island. The month is also the start of the calima season. We do get them at any time of year, but they are most usual in December to February. This is when the wind blows from The Sahara, carrying warm air, Saharan sand, and sometimes interesting insects like ladybirds and even locusts. December 2018 was epic! We had no rain, there was almost no wind, and pretty much every day in the month consisted of blue skies and daytime temperatures in the mid 20’s. 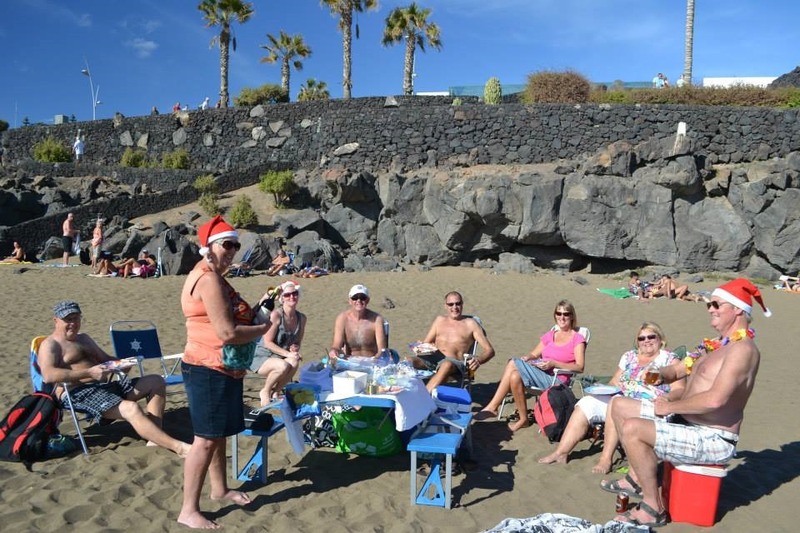 Across the Canaries, it was the warmest December recorded. December 2016 was typical for the month. A mixture of lovely sunny days, with a few days of rain thrown in. 2015 was unusual in that no rain fell at all, and temperatures were well above average, even hitting 28 degrees on Christmas day. 2014 started showery for the first week, the turned epic for Christmas, with wall to wall sunshine. We went out and about taking photos and got sun burned! We had quite a big storm with flooding in mid December 2013, but once again, by Christmas, it was gorgeous. 2012 and 2011 were bone dry and sunny – in fact 2012 was the warmest December for 50 years, with temperatures regularly north of 25 degrees. You’ll certainly need a cover-up for the evenings in December, particularly if you are in the hills at places like Tias or Teguise. But during the day shorts and t shirts will be fine, as will swimwear on the beach and around the pool. Some kind of waterproof will be useful if you are out walking, but if in resort and it does rain, just dive into a bar! A scarf can be useful if the wind doesn’t blow, but you won’t need gloves. 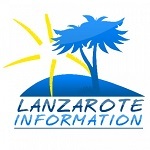 Read all about Lanzarote weather.